BMW Group Classic is expanding its mission: from the beginning of this year the newly established Motorsport division is offering assistance in everything to do with classic competition vehicles that carry the BMW and Mini badges. 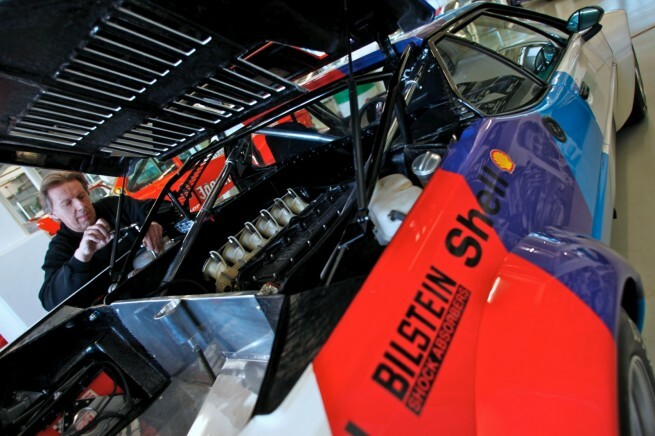 The activities of the motorsport specialists extend from advice on servicing and repair, through parts procurement, right up to complete restoration – drawing on the definitive skills of the manufacturer. The experts expect to find their main customers among the owners of racers from the 1960s, 70s and 80s. “Anyone who owns a high-performance car like that will also want to drive it,” says Friedrich Nohl, who heads up the Motorsport division of BMW Group Classic. And he should know: Nohl was previously head of sports and touring car technology at BMW Motorsport. Whatever the event, the drivers are scarcely less ambitious to win than those who drove the classics in their heyday. And just as in those days, the mechanical stresses of racing can sometimes cause something to drop off or blow up. “Even in historic motor sport we are pushing men and materials to their limits,” Nohl adds. With these thoroughbred race cars, procuring replacement parts of a commensurate quality is not so easy. In future, the specialists at BMW Group Classic Motorsport intend to offer their help, even to the extent of replicating special components. Where damage or wear to a vehicle is more extensive, BMW Group Classic will in future also offer maintenance, repair or rebuilding. Mini Cooper and BMW 1602 as demonstration models. As demonstration models, the specialists are building two competition vehicles in the course of this year. One is a Mini Cooper S Mark 1 dating from 1964, which can be entered for circuit races. The other is a 1970s BMW 1602 Touring. “Both will be rebuilt from the ground up, in other words starting from the bodyshell,” says Friedrich Nohl. Whereas the Mini is being converted to a competition car, the 1602 already has a racing history. BMW Group Classic has set up the Motorsport division to meet the growing demand for skilled servicing of racing classics while remaining faithful to the originals. “We are getting more and more frequent enquiries of this kind,” says Friedrich Nohl. That is no surprise, since many of the one-time circuit and rally cars have survived and are still being raced today. They originate predominantly from the period from 1960 to 1990 – three decades in which BMW and Mini were helping to make a decisive mark on motor sports. 1960-1990: the heyday of the classics. In the summer of 1961, BMW launched the 700 Sport as the first postwar car intended for motor racing. With its 40 hp this 640 kg flyweight outstripped the competition in its sports class right from the start. In the very first year the German Circuit Championship and the Rally and Touring Car Championship went to the “Little Fury”, as the public christened it. In the same era, the Mini made an indelible mark on the history of rallying: its overall victory in the 1964 Monte Carlo Rally is the stuff of legend. The 1970s were dominated by the 3.0 CSL dream coupé, which became the most successful tourer of its era. Between 1973 and 1979 it won the European Championship six times and dominated the international touring car racing scene for the best part of a decade. At the end of its career, as a turbo coupé, it had an impressive power output of up to 800 hp and, on account of its extravagant set of spoilers, went down in history as the “Batmobile”. The 1980s are symbolised by the BMW M3, born in 1986. Right from the start the racer made a clean sweep of victories, trophies and titles: in 1987 it won the World Touring Car Championship – the first and only world title ever awarded in this vehicle category. In the following five years the M3 was undisputed leader of the touring car racing scene. With several European touring car championships, a second win in the German Touring Car Championship (DTM) as well as a fistful of other victories and championships at international level, it became the most successful tourer of all. “We want to make it possible for the owners of our successful classics to get involved in events and competitions without having to sacrifice the driving fun which these cars offer to this day,” Friedrich Nohl stresses.